“Roma città aperta”, “La dolce vita”, “Ricomincio da tre”, “Mediterraneo”, “Nuovo Cinema Paradiso”, “La meglio Gioventù” and “La stanza del Figlio” are just some of the more than 630 films funded by BNL in more than 80 years of commitment to Italian cinema, and which in many cases have become part of our country’s history. With the commitment and attention befitting its role as cinema’s leading bank sponsor, BNL has continued to provide valuable support over the years to the film industry as a whole, contributing its own funds and expertise to the development, distribution and consumption of Italy’s national film production. This is a role that it also performs through partnerships with major national events dedicated to the big screen, including the Rome Film Festival, David di Donatello and Nastri d’Argento Prizes and the two authorship sections of the Venice International Film Festival: “Le Giornate degli Autori – Venice Days” and “La Settimana della Critica”. 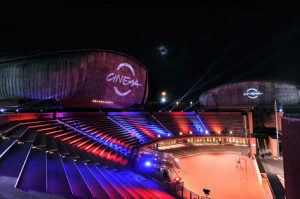 Since its first edition in 2006, BNL Gruppo BNP Paribas is the main partner of Rome Film Festival held every year at the Auditorium Parco della Musica. The event is organized by the Fondazione Cinema per Roma and promoted by Roma Capitale, the Lazio Region, the Rome Chamber of Commerce, the Istituto Luce Cinecittà, and Musica per Roma Foundation. 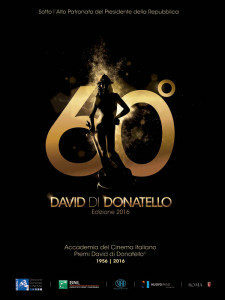 The David di Donatello and Nastri d’Argento Prizes are two of the most respected national awards given within the film industry and are sponsored by BNL in support of Italian cinema. Awarded by two different juries, they both celebrate excellence in Italian cinema by naming the best in each category from the candidates shortlisted – just like the American Oscars. BNL supports as main sponsor the two independent film reviews Giornate degli Autori Venice Days – of which BNL has been a sponsor since the first edition in 2004 – and the International Critics’ Week in the context of the Venice International Film Festival. The Giornate degli Autori aims to promote the creativity, innovation and originality of independent cinema worldwide. The International Critics’ Week, instead, includes a selection of short films by Italian authors, chosen by a commission nominated by the Italian National Film Critics Union, and two special events, all presented in world premiere. BNP Paribas’ commitment to the seventh art is backed by the Group’s long history with the film industry. For more than 20 years, the Group has encouraged and participated in a wide range of initiatives benefiting the film industry in many countries. It supports art house, fantasy and crime films, as well as backing film restoration projects, design, young filmmakers and production. Through this partnership, the bank presents an image of a bank that is close to its customers, their values and their goals, whether these customers are creative artists, industry professionals or film enthusiasts.